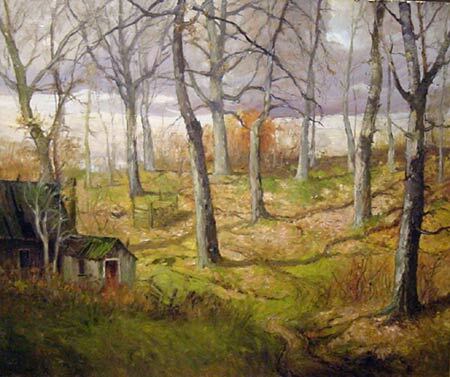 Autumn Landscape, oil on board, 20" x 24"
Born in Rochester, NY c. 1905. Studied with Edward Siebert. Won Ranger Purchase Award, National Academy of Design. In Who’s Who in American Art. Member: Rochester Art Club, Rockport Art Association, and Cooperstown Art Association. In collection of: Memorial Art Gallery.